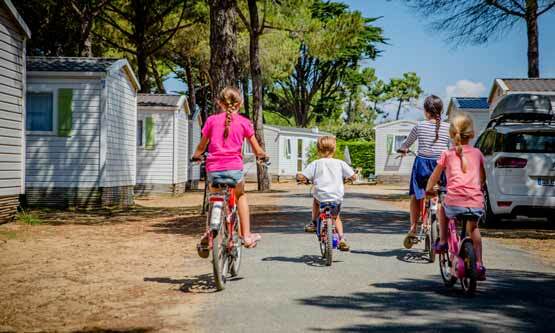 During your holidays in campsite on the Île de ré, forget your car! 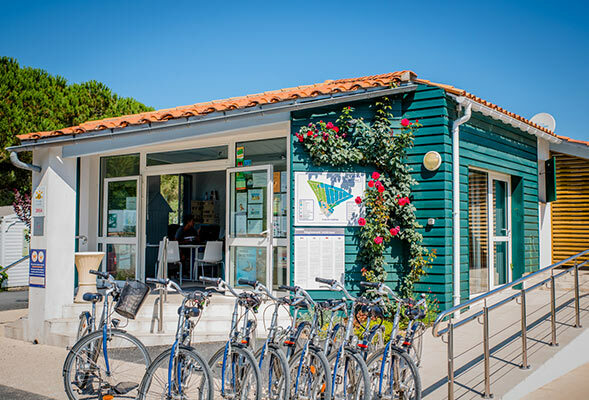 Ile de Ré is the ideal place to indulge your passion for cycling. 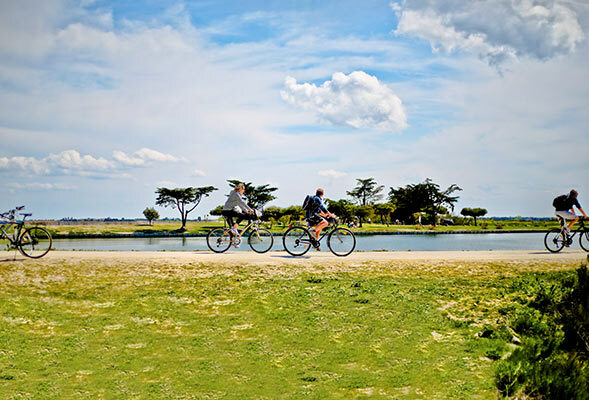 With nearly 100 km of bicycle paths, Ile de Ré is a real paradise for bicycle. Even the less sporty can go on the discovery of the Ile de Ré by bike, the highest point being 19m. Long bike rides with family, friends or duo await you. 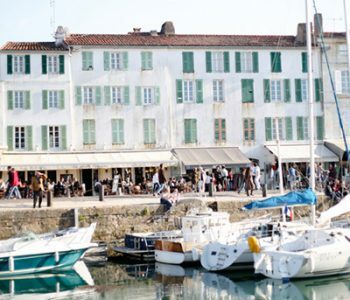 You can easily cross the whole island by bicycle and visit all the Rhétais villages. 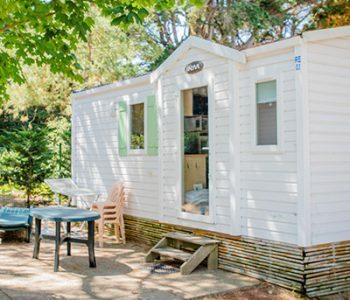 Along the coast or in the woods, bike rides on the cycle routes of the Charente archipelago will recharge your batteries. 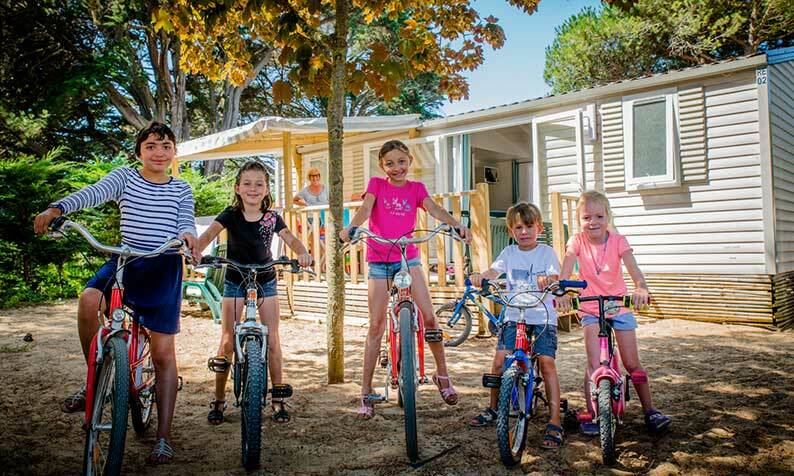 To make it easier for you, campsite les Varennes on the island of Ré offers you a bike rental service on site. Visiting the island of Ré by bike is the best way to explore the island and discover all its remains. between wood and vines by linking the communes of Sainte Marie, Le Bois-Plage, Saint Martin, La Flotte and Rivedoux. along the coast between Saint Martin and Loix (with the passage on the Moulin à Marées) and La Couarde. Preferably in the morning to make the most of the light. the north of the island with passing through Ars, Saint Clément des Baleines and Les Portes. 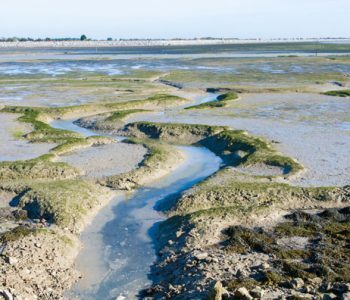 The cycle paths pass through the salt marshes, where you can see salt makers harvesting fleur de sel or coarse salt with the help of souvron and simoussi. A privileged nesting site, the Lilleau des Niges Reserve will allow you to observe a large number of birds. 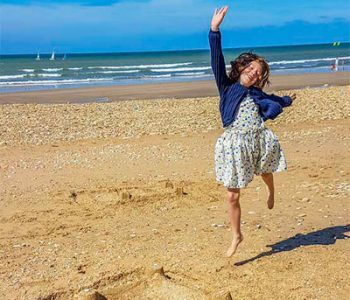 The ascent to the Lighthouse des Baleines will give you the most beautiful view of the island and you can stop for a swim at the beach of Bois de Trousse-Chemise. As a reminder, bike rentals are available on site.